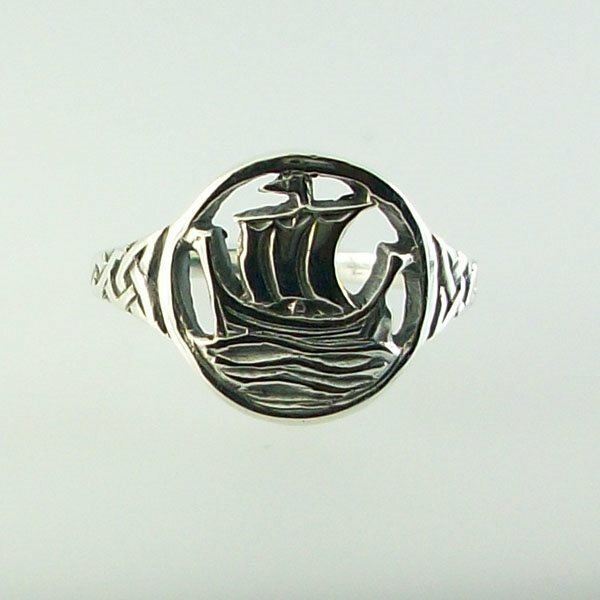 Silver galley celtic ship ring with a Viking longship open handcrafted motif and celtic knotwork on the shoulders. Delighted to find this ring. I have had mine and worn it continuously since I was 18. My daughter asked if we could get it copied in time for her 21st, but here it is! Copy not required! Will order as soon as we know her ring size. Can vouch for it being a fantastic ring. My father bought me mine, now a little worn around the edges after thirty years, but has not lost any of its charm and none of its sentimental value. Thank you!